The Milky Way arches over our observing field at the OzSky star party in Australia. What an amazing few nights it has been. We’ve enjoyed several clear nights under the fabulous southern Milky Way. 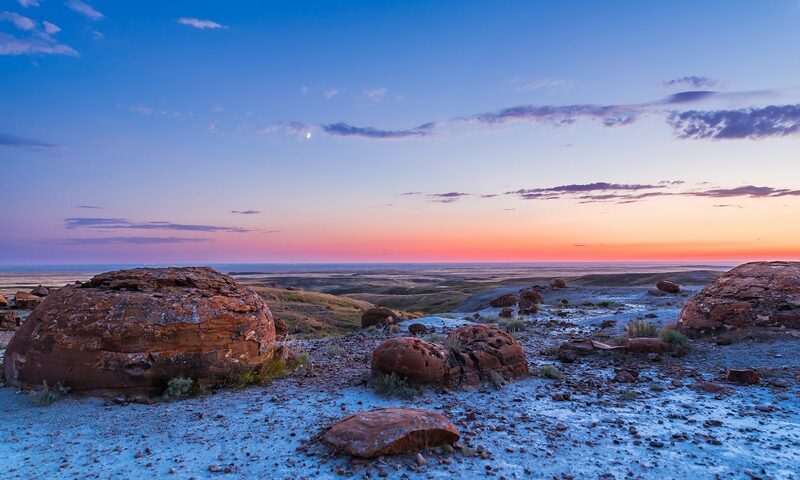 About 40 people from around the world have had access to telescopes from 14-inch to 30-inch aperture to explore the wonders of the southern sky from a dark site near Coonabarabran, New South Wales. I’ve seen lifetime-best views of the Tarantula Nebula, the Carina Nebula, the Horsehead Nebula, the Omega Centauri cluster, and on and on! But the views of Mars have been incredible, the best I’ve seen the planet in a decade as it is now close to Earth and high in our southern sky. 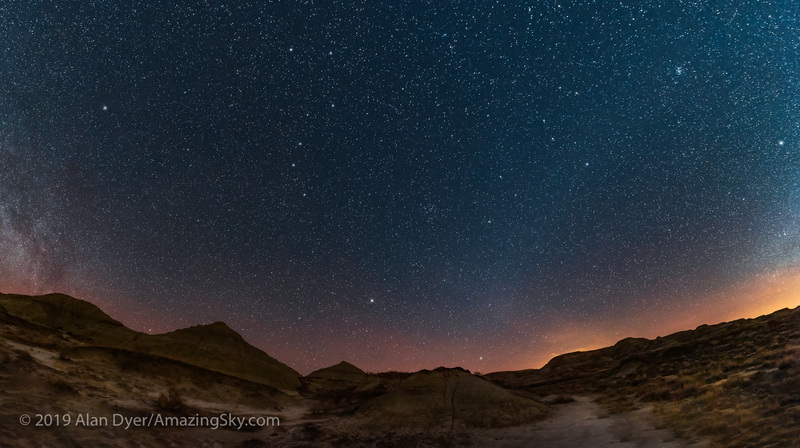 The panorama above is a stitch of 6 untracked segments taken with a Canon 60Da and 8mm fish-eye lens. Each segment is a 60-second exposure at ISO 3200. 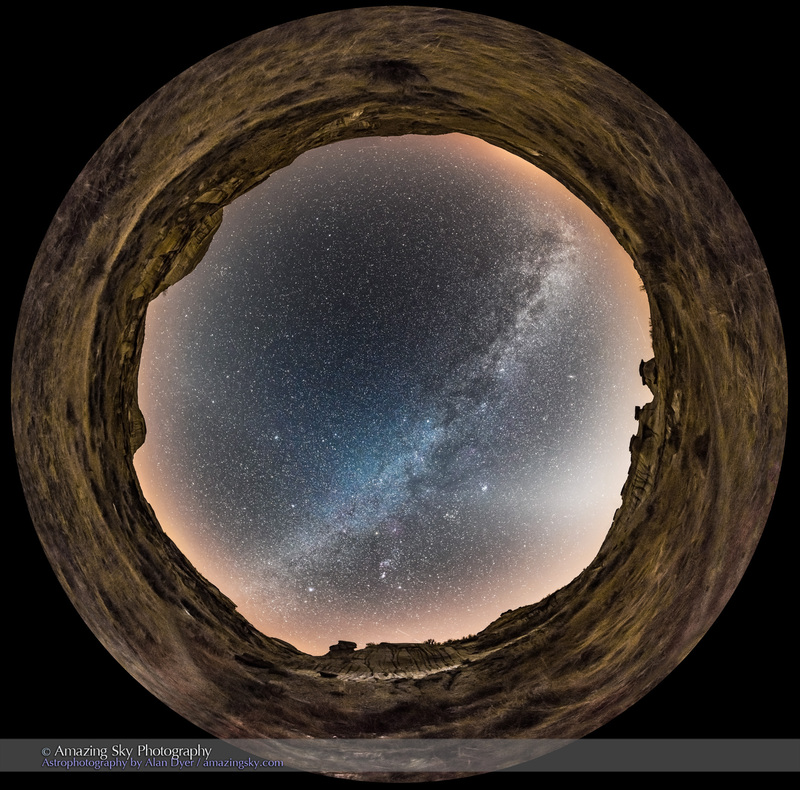 The 360° panorama takes in the Milky Way from Canis Major setting at right, over to Scorpius and Sagittarius and the centre of the Galaxy rising at left. At top centre is the wonderful Carina and Crux area. The two Magellanic Clouds are just above the trees at centre. At upper left is Mars, and just to the left of it is a diffuse glow – the Gegenschein, sunlight reflected of comet dust in the direction opposite the Sun. Mars is near that point now. 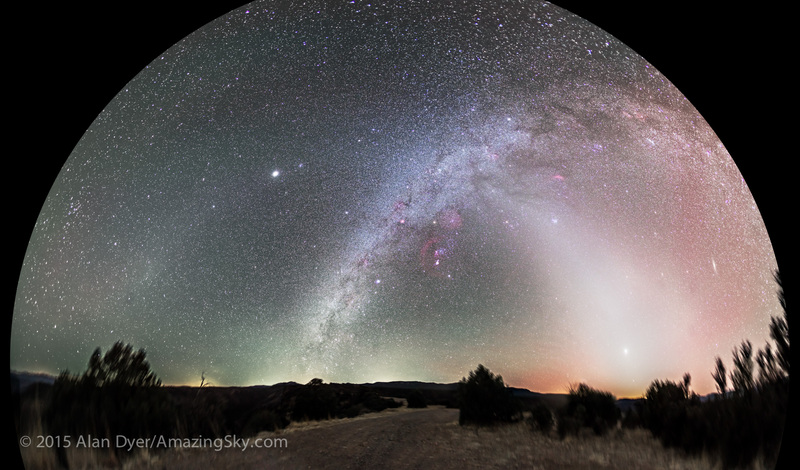 You can just see a faint band running from the Gegenschein to the Milky Way — the Zodiacal Band of comet dust. 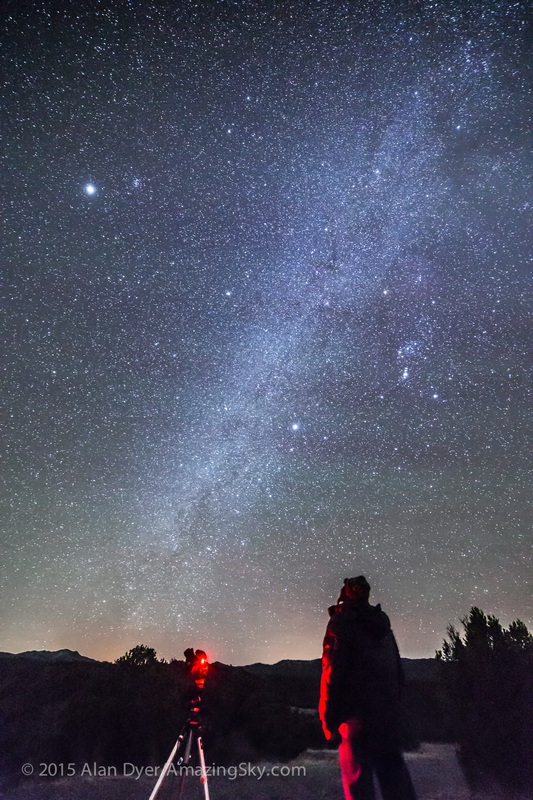 Here, one of our observers takes in a view through a 24-inch reflector telescope under the stars of the Southern Cross, the pattern in the Milky Way behind him. The nights have been warm and wonderful, though a little damp and dewy after midnight. However, rain is in the forecast again, a welcome relief for most local residents who want the rain. They can have it now. We’re happy!